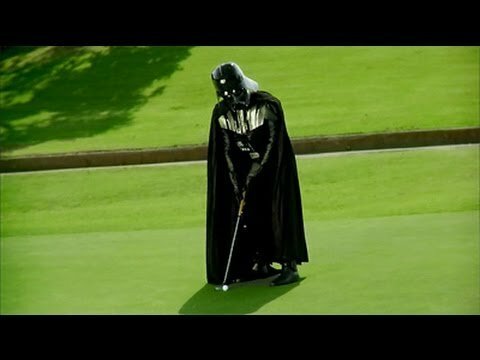 A long time ago, in a galaxy far, far away, a Jedi Knight was seduced by the dark side of the Force. Then, not so long ago (July 2016), @lordvader decided to make his presence known on Steemit, which resulted in the creation of one of the most entertaining blogs on the platform. In this rare interview, I ask the Sith Lord his opinion of @ned, what the meaning of life is and who he plans to dress up as for Halloween. We also tap into @lordvader's affinity for Peggy Lee's Is That All There Is?, Snoop Dogg and going commando. 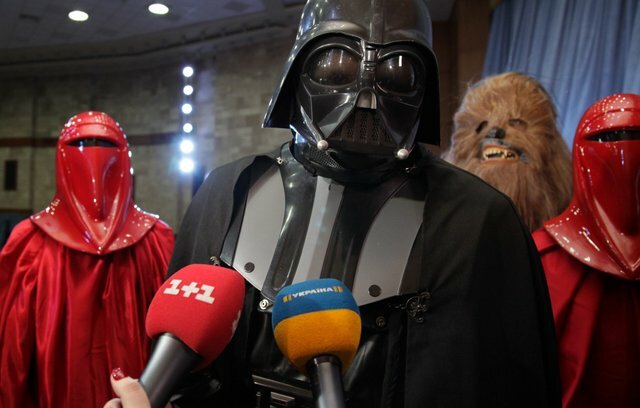 1 - Am I at risk of getting "force choked" if this interview goes poorly? @lordvader - I am involved so it cannot possibly go poorly. But you are at risk of being Force choked for daring to ask that question. 2 - What is the meaning of life? @lordvader - I see what you are doing. You are trying to trick me into saying “42." But my brain is far too huge to fall for that. Sorry losers and haters, but my I.Q. is one of the highest — and you all know it! Please don't feel so stupid or insecure, it's not your fault. Everyone knows the meaning of life is to get as many of those little pegs in your car as you possibly can and then retire to Millionaire Acres. 3 - Two years ago, when you introduced yourself to the Steemit community, you said you "could really use a hug." Has anyone given you a hug yet? @lordvader - No. Thanks for bringing it up. Want to talk about my dead wife next? 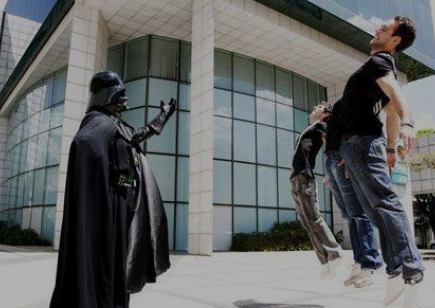 4 - Who is one dimwit you've not yet force choked who is on the top of your list of dimwits to force choke? 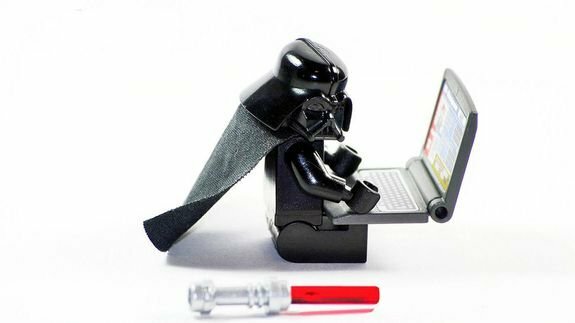 @lordvader - Definitely my boss, The Emperor. I want to kill that old wrinkled sack of puke so bad! But that’s not how it works. There is the stupid Rule of Two I must follow. I mean, that is incredibly idiotic. I am the most powerful being in any galaxy. The idea that I would have to adhere to any rules at all is simply preposterous. Next thing they will tell me is that there is a document that I am sworn to uphold and I should respect and obey it. Pffff. 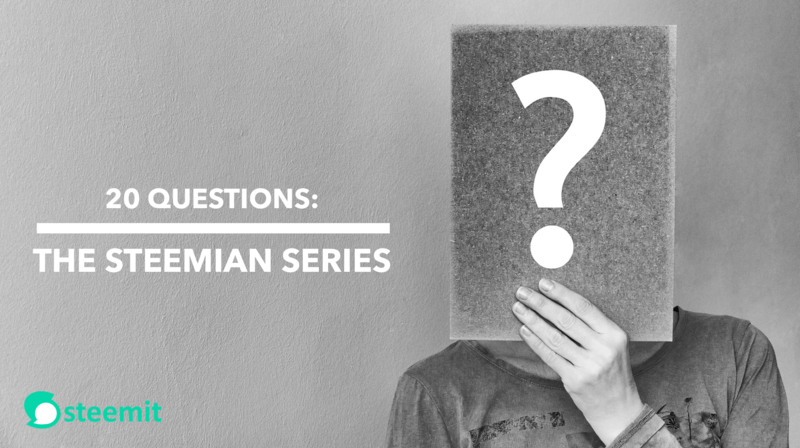 5 - How did you hear about Steemit, and why did you start blogging on the platform? @lordvader - My executive assistant, Vera — who is the bee’s knees — told me about it. 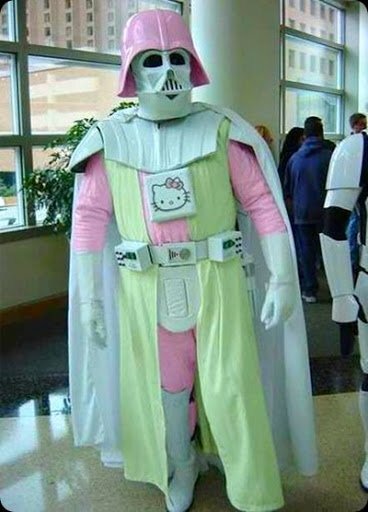 She knows that The Empire is planning to invade your primitive planet (I tell her everything). Before an invasion, I like to find out if there are any lifeforms worthy of sparing and enslaving. Considering Steem is your backward planet’s one and only accomplishment, it seemed like a place where I could find loyal and worthy followers. I have found a few. They have earned lightsaber-sliced gyros. They know who they are. 6 - What is your opinion of Ned? @lordvader - Ned has played a huge role in creating the one and only thing your primitive planet has ever done right. I also find his use of the Jedi mind trick most impressive. It is not easy to convince an entire generation that V-Neck t-shirts are this generation’s “power suit." Although, I do think he needs to invest in a better image capturing device. That white board behind him is so blurry I can’t make out a maker-damned thing. 7 - What is the best thing about your executive assistant, Vera? @lordvader - Her everything. But if I felt the need to limit it to one thing, it would be that she is an excellent judge of character. She could work for anyone in the galaxy, yet she works for me. She is a wise woman. 8 - Do you sleep in your mask? @lordvader - Sleep is for the weak. I am too busy watching fake news and sending transmissions about it to sleep. 9 - Do you have a closet full of the same outfit? @lordvader - “Outfit?” Do you think I am a teenage girl? 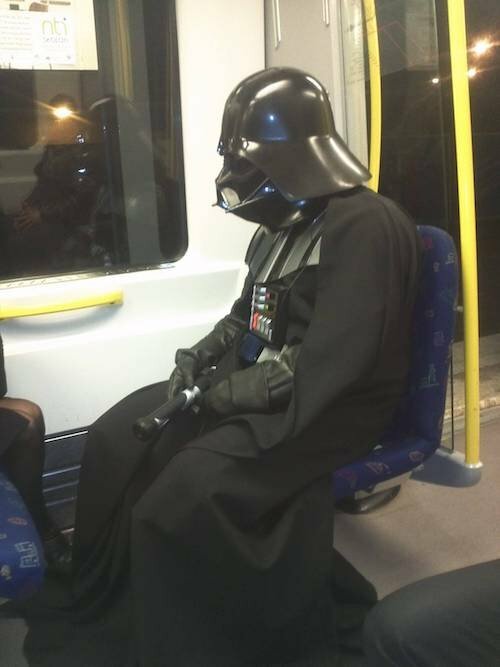 I force choked them and everyone they knew and then switched exclusively to droids. 10 - Who will you be dressing up as for Halloween? @lordvader - I will be me but even more awesome. Ha ha ha! That was little joke. It is impossible for anyone to be more awesome than I am. 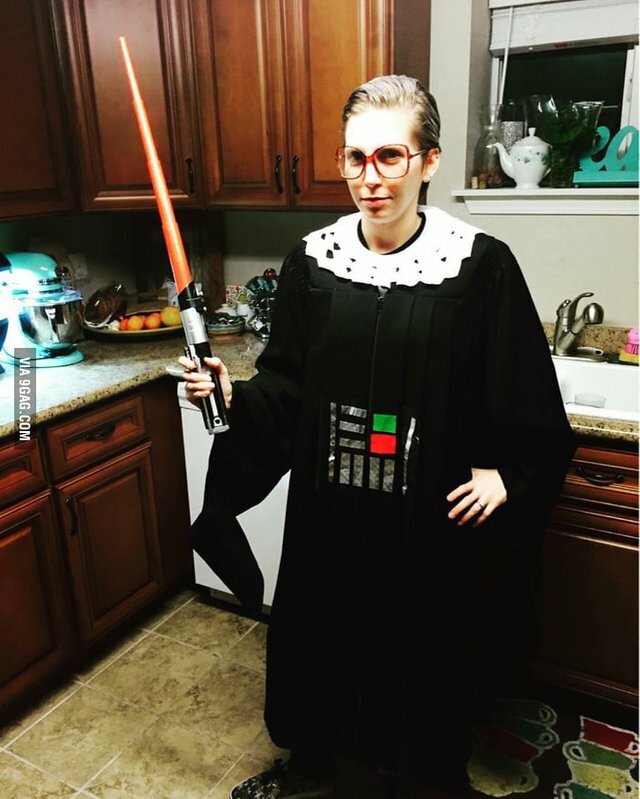 I have considered dressing as Ruth Vader Ginsberg. 11 - If a tree falls in the forest, but no one is around to hear it, does it make a sound? @lordvader - If it falls on an Ewok, it sounds like this: “Yum." 12 - What's your most embarrassing moment? @lordvader - Pretty much everything I said or did when I was nine years old. 13 - What's your greatest fear? 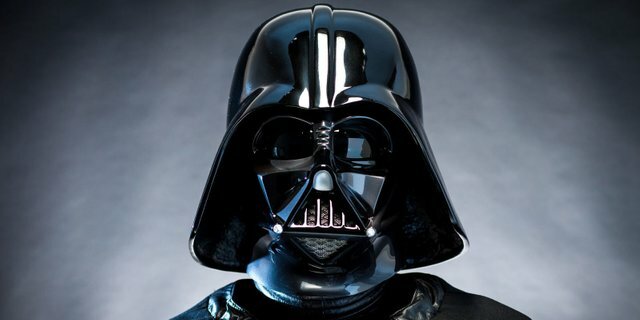 @lordvader - That I will run out of credits and not be able to pay the choke jar that Vera set up for me. That and spiders. Especially ones on cloaks. 14 - What planet is your favorite to vacation on? @lordvader - That is an excellent question. Everyone should go there. It is tremendous! Not only can you golf there no matter what important event or natural disaster is taking place, it is also available for weddings. If you are lucky, I might just crash yours. If the Force is really strong with you, I may actually make physical contact with every female in attendance. @lordvader - I do not play favorites. I hate each and every one of you equally. Although if you were to ask who has earned my respect, I would say @cryptopie. When you are the strongest being in any universe, you grow to respect other strong beings. @cryptopie’s determination to keep fighting has given me the audacity to hope that perhaps your planet isn’t completely useless. 16 - What song do you listen to when you're feeling sad? @lordvader - Peggy Lee’s “Is That All There Is?” Or anything by Wham! 17 - What is your biggest pet peeve? But I will not grant you that satisfaction. My real pet peeve is members of the media who insist on relying on “facts." Facts are meaningless. You can use facts to prove anything that is even remotely true. 18 - If you had to choose a lightsaber color other than red, what would it be? 19 - You get to have dinner with three people, living or dead. Who are you eating with? @lordvader - Living or dead huh? Well I have dinner with dead people all the freaking time so that isn’t much of a treat. For example, a chef once burnt my Ewok. He was dead before I finished my first course. A waiter once spilled some of that gross blue milk on my cape. Also dead. Someone once told me that a speech I gave at a fundraising dinner was rambling, incoherent, and bordering on the insane. Yep. Super dead. Obviously if I could have dinner with anyone, it would be that delightful Prince Xizor who would ride up shirtless on a dewback after wrestling a gundark (also while shirtless). But let us restrict this to inhabitants of your primitive planet. Snoop Dogg because just being in direct contact with that guy makes me want to laugh and eat Funyuns. David Prowse who is a little known actor who portrayed Julian in a delightful movie called A Clockwork Orange. This movie tells the heroic tale of a group of young men who go from complete wastes of life to loyal servants of a totalitarian regime. It is quite inspirational and every youngling should watch it. 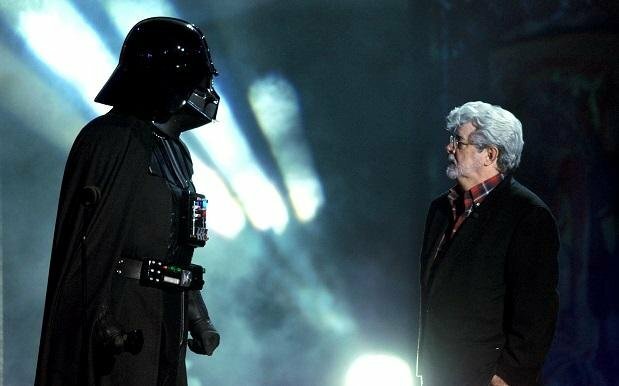 Finally, George Lucas. People keep telling me that he is the one responsible for ruining my childhood. Also, if he were to join us, after I “discussed” my childhood with him, he could fulfill the “dead” portion of “living or dead." 20 - What is one thing very few people know about you? @lordvader - Most people think I am braggadocious, but I am really quite humble. That and I rarely wear underwear and when I do it's usually something unusual. It was a frightening, yet exciting, to ask @lordvader 20 questions. As always, thanks to all of you for taking the time to read. 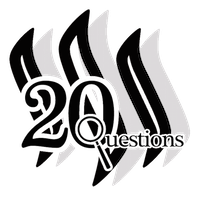 Who would you like to see me throw 20 questions at? Drop me a comment below and I'll work on setting up the interview. If you like what you read, be sure to follow my blog! He's obviously slipping a bit as he doesn't have the highest reputation score. Don't be silly. Those scores only show 2 digits. There are 8 zeroes behind that 9. Great stuff! Thanks for doing the definitive interview with this stellar character. Oh look. It is the inhabitant who loves roadmaps so much. Although your loyalty to the inhabitants of this platform has been impressive. I suppose you want execution to go along with that roadmap. Or is it executions? This is without a doubt the greatest interview in the history of time in any galaxy. You are a wise man. You have please me. Here enjoy this. Is there a history of time? I thought that time is a myth and that history is what you make of it. Anyways, a great interview. Thanks for it. A cool interview but let's not pretend that Star Wars is greater than Star Trek. 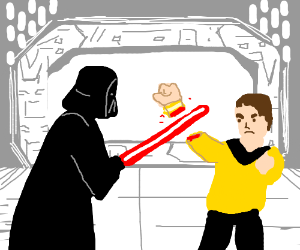 Captain Kirk could take down Vader with his signature two-handed axe handle chop to the back. It is difficult to do a "two-handed" anything with only 1 hand. 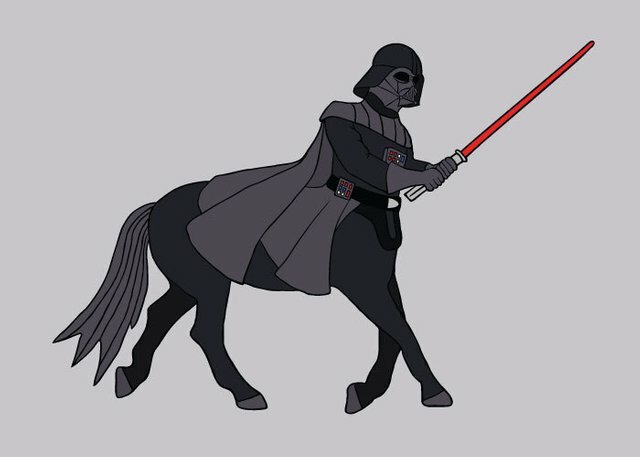 @lordvader, May the Horse be with you, always. I have no choice. I can't seem to shake him. Such a great way to start my Monday morning. One of my favourite interviews so far. Haha, some good crazy stuff there!